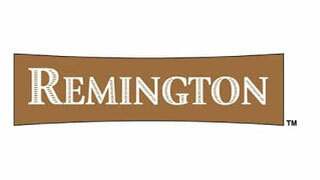 Known for their exceptional quality and affordable price, Remington Cigars are a class apart. What makes them unique and different from their contemporaries is their secret blend of specially selected tobaccos and their diverse range of flavors. Enclosed in a homogenized wrapper, these cigars have a steady and even burn with a subtle aromatic smoke that is not overpowering. These machine-made cigars are manufactured by Grant Thornton Republica Dominicana, based in the Dominican Republic, and then exported and distributed in the US. With a length of 3 ⅞ inches and a ring gauge of 20, these cigars come in an airtight soft pack of 10 with 20 each that helps retain their moisture and freshness. For a full-flavored, deep and rich smoke, try the Full Flavor cigars. The Mild, Menthol and Light cigars offer a mellow and smooth smoking experience. If you have a sweet tooth, opt for the creamy, chocolaty flavor of the Chocolate cigars. The Vanilla and Rum cigars are apt for a light smoke that has great aroma and flavor. Cigar enthusiasts who prefer fruity flavors will be spoilt for choice, as the brand has as many as six flavors, which include Cherry, Grape, White Grape, Peach, Blueberry and Strawberry. Perfectly constructed with an emphasis on flavor and quality, Remington Cigars stand tall among similarly crafted products. Their low price, superior quality, robust flavors and aromatic smoke make these cigars the favorite choice for every cigar aficionado’s daily smoke.